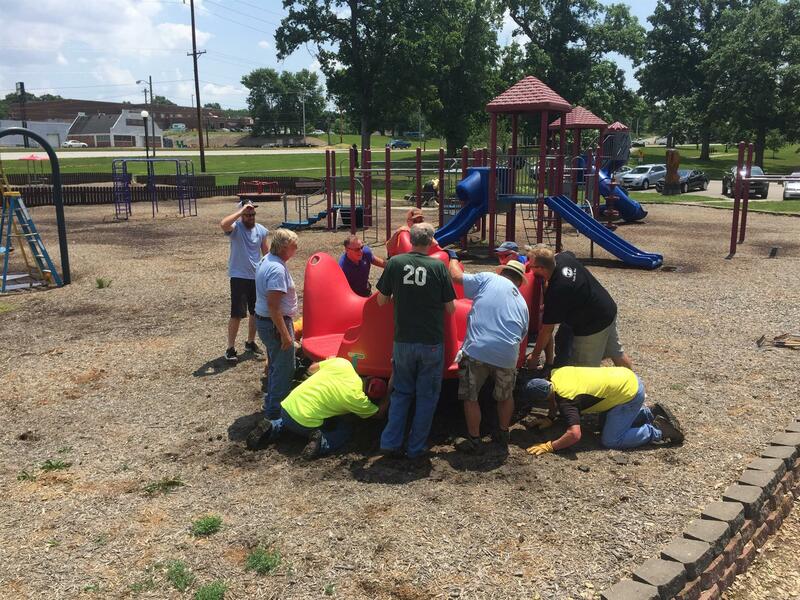 In May 2018, the Chillicothe Rotary Club, with the help of the City of Chillicothe, the Rotary Foundation and the Chillicothe Rotary Foundation, purchased and installed three pieces of handicapped accessible playground equipment in Simpson Park. Mike Palmer, 2017-2018 Chillicothe Club President, was instrumental in getting this partnership together and ensuring that the equipment was installed. The total project cost was approximately $8500. Chillicothe Club members provided additional assistance to the City of Chillicothe park employees for the installation. Two inclusive swings and an inclusive revolution spinner will now be available to make Simpson Park more accessible to children of all ages and ability levels. Our Club is proud to improve our parks and our community!